Team Dakota want you to sign up for the Project Spark Windows 8 Beta. Right now. 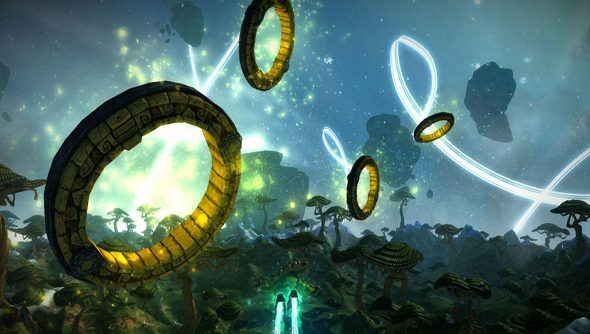 Project Spark is Microsoft’s answer to Little Big Planet; it’s a game in which you make games. It works with both Kinect and Microsoft’s Smartglass app to help players build environments, create objects and people, and share these worlds with the larger community. Think Minecraft, but friendlier, and with more attention to detail. The announcement was made over Team Dakota’s Facebook Page, where the studio also mentioned that the Beta “will be starting very soon”, although it won’t be out before the end of October. One last thing – make sure you’ve updated to Windows 8.1, which is mandatory if you want to participate in the beta. You can read what we think about that in Steve’s utterly serious analysis of the update, right here. You can sign up to the beta at the game’s official website. There are no geographical restrictions as to who can sign up.